Writers write. It’s not a choice; it’s a voice. It whispers when you sleep, talks when you drive, commentates your daydreams, and then vanishes, leaving you at a loss for the very thing it offered: the words. 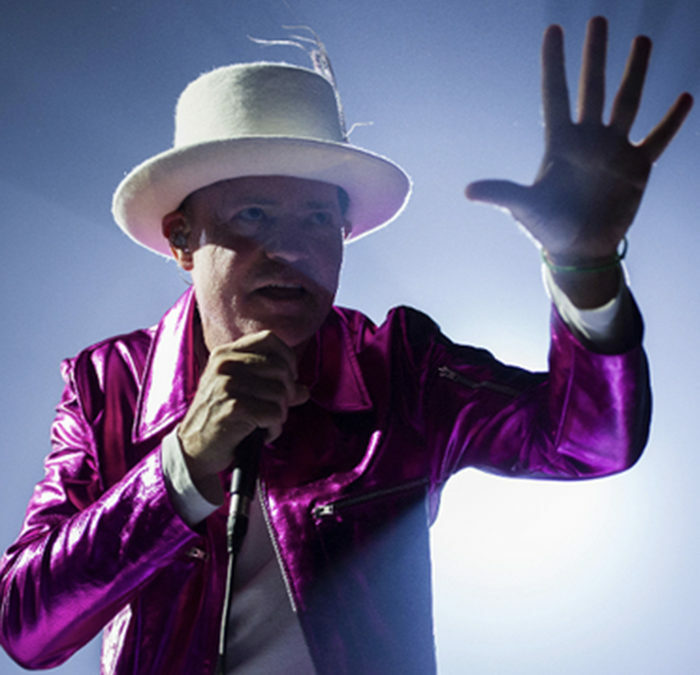 This week I have been searching for the words to express the grief and gratitude I feel at the loss of a man I have never met: Canada’s poet, Gord Downie. This is deeper than a fan adoring a celebrity. This is heart-on- sleeve material. Fully, completely. In October, 1992, I was a creative writing student at York University who was about to switch my major to Canadian studies, aiming for a masters in Aboriginal studies. People were quick to tell me I was wasting my time. Who studies Canada? Yet, the nation was on the cusp of great changes. Canadians were questioning our identity under the threat of separation. There was a discourse of nationalism versus patriotism, the romance of Canadian history versus the rationalization of injustices, and the quest for an identity in a culture often overshadowed by our geography, but also defined by it. There I was, studying with some of the best minds on Canadian issues. I have never been so eager to study so hard in my life. I cared, deeply. In October 1992, The Tragically Hip released Fully Completely. Here was a collection of songs with clever, sometimes cryptic lyrics that made poetry cool, weaved around themes that were the very fabric of nationhood that my fellow academics and I were trying to iron out every day. To understand Courage (For Hugh MacLennan), it helped to know MacLennan’s philosophies. And while Jacques Cartier had “the real bum’s eye for clothes,” we knew Looking for a place to happen was about the arrival of Europeans and the destruction of Aboriginal cultures. Wheat Kings brought to words the injustice of our legal system for David Milgaard. At the Hundredth Meridian, loaded with metaphors, can be interpreted to depict a country divided by invisible socio-political lines. Locked in the Trunk of a Car satisfied my fascination with the FLQ Crisis with the speculation of lyrical attributes to the kidnapping of Pierre Laporte. Who knows if that was the intent, but just the idea was enough. And the Holy Grail? They sang about Bill Barilko and the Toronto Maple Leafs with the innocence of a hockey card tucked under a cap. It doesn’t get any more Canadian than that. Fully, completely. Of all the Hip albums, this is the one that resonates most with me. It takes me back to a time when I felt like maybe I could change the world. I haven’t yet but there’s still time. My tribute lacks eloquence, but my words are sincere. For me, Gord Downie validated the significance of the two things I am most passionate about: Canadian culture and writing. His words spoke to a nation and we listened. I hope we never stop. He showed us who we are and left us with the challenge to do better, to be better. His legacy is our future.